Death Rates From Major Illnesses Fall in U.S.
TUESDAY, Oct. 27, 2015 (HealthDay News) -- Fewer Americans are dying from heart disease, cancer, stroke, diabetes and injuries, a new study reveals. American Cancer Society researchers analyzed age-standardized rates of death for six leading diseases and conditions over nearly five decades and found significant progress overall. However, deaths from chronic obstructive pulmonary disease (COPD) -- a debilitating disease often caused by smoking -- increased dramatically during the time period studied, 1969 to 2013. The COPD death rate reflects the different smoking patterns among men and women. COPD deaths have started to decrease among men, since males started smoking -- and quitting -- years earlier. But COPD deaths are still increasing among women, who took up smoking later and began quitting later, the researchers said. "We continue to make progress in reducing death rates from five of the six major causes of death," said lead researcher Dr. Ahmedin Jemal, the society's vice president for the surveillance and health services research program. "But the death rate from COPD doubled." Jemal credited the overall progress to a decline in smoking, early diagnosis and better treatment of heart disease, cancer and stroke. But better diagnosis and treatment can only go so far, he said. Noting that reductions in deaths from heart disease, stroke and diabetes have slowed in recent years, Jemal emphasized the need to prevent these diseases in the first place. "If we apply what we know in preventing cancer, heart disease, stroke, COPD and diabetes, we could reduce deaths by half," he said. "There is a huge opportunity to prevent these diseases." Prevention includes a healthy lifestyle -- avoiding smoking, reducing obesity, eating a healthful diet and exercising, Jemal said. The report was published Oct. 27 in the Journal of the American Medical Association. Deaths from all causes, including these conditions, dropped about 1.3 percent a year over the near half century studied for a 43 percent decline overall, the researchers found. Deaths from heart disease dropped 68 percent and from stroke, 77 percent. Injury-related deaths fell 40 percent, and deaths from cancer and diabetes dropped 18 percent and 17 percent, respectively. 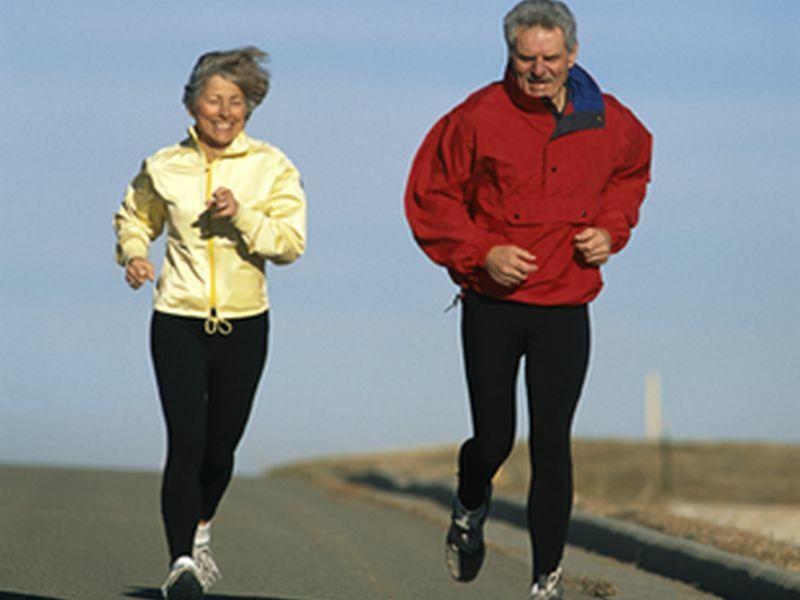 But COPD-related deaths jumped 101 percent, according to the report. Although deaths from heart disease continue to drop, the decline slowed to 1.4 percent in 2010-2013, the researchers found. The drop in death rates has also slowed for stroke and diabetes. This falloff may reflect the consequences of increased obesity since the 1980s, the study authors say. Dr. J. Michael McGinnis, from the National Academy of Medicine, said more progress is possible, but it will take individual and community effort. "A substantial component of the reduction in deaths is due to prevention, as a result, for example, of reduced use of tobacco, better control of high blood pressure and reduction in cholesterol levels," he said. More has been learned in the past generation about what makes people healthy or not, said McGinnis, author of an accompanying journal editorial. These factors include genetics, health care, behavior, environment and social circumstances, he said. "We need to modernize our view to focus on the most important things we now know and can measure about what really makes people, communities, and the nation healthy or not," McGinnis said.